The white space on a page is the part of the page without print or images. The white space in an organization is the part without specifically designed tasks, performance, and work. There is tremendous potential, value, and innovation that resides in the white space of work. Learn to engage employees with the white space, edges, and margins of work by asking rather than telling. Believe in your employee’s motivation and ability to determine what needs to be done and how they can go about doing it. Promote autonomy aligned with your strategic imperative. Invite employees to voice and contribute and to frame and solve organizational challenges. For example, if you have a challenge with poor quality service ask each employee to use 5 minutes this week to assess the poor quality service and to quickly move from rumination about it to taking one small action to improve quality. Encourage employees to share what worked and examine how their actions in the white space of work can be scaled for greater use by all within the organization. The blank white space in organizations invites voice, participation, innovation, and engagement. 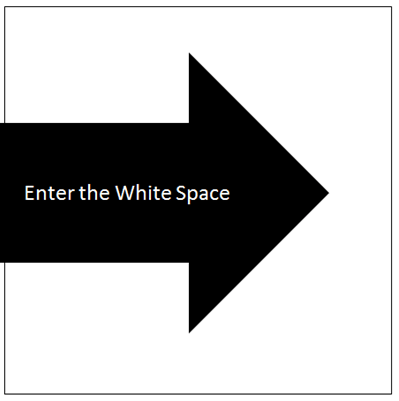 Shift your perspective at work and attune to the white space that resides in all tasks and organizations. David Zinger, from Canada, is an employee engagement speaker and expert.